24 December 2018. The light at the end of the tunnel. Major engineering works took place at MK over the Christmas period resulting in the removal of all rail, sleepers and ballast through platform 6. A number of engineering trains were used in the works involving 66519/528/529/537/538/543/556/562/563/571/594/602 and 66617. 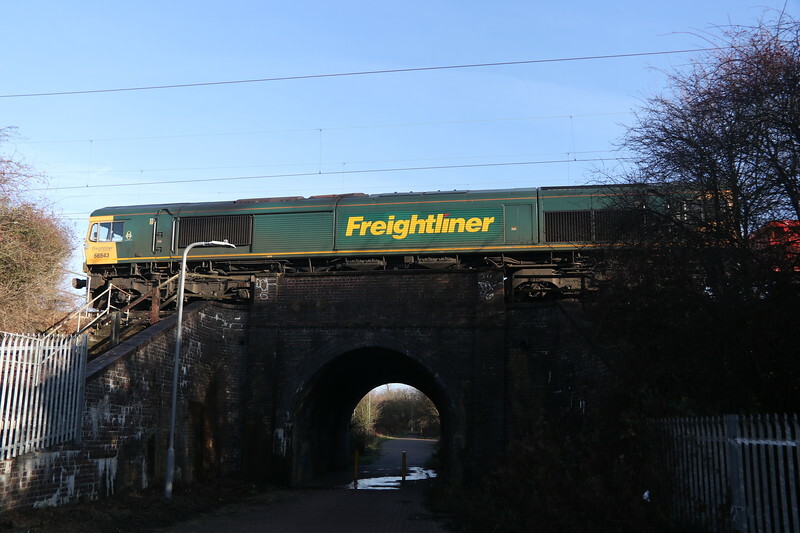 One of these locos, 66543 is seen parked up near Granby, North of Bletchley awaiting entrance to the works site.